Bloom with Whisk and Spoon this spring! When it comes to having products in your store, what do you focus on? Do you focus on finding quality products with unique flair? It's important to always keep your customers on their toes. So, finding wonderful products for your store is always a must. One great company that offers great products that will truly put a smile of your customers face comes from Whisk and Spoon. 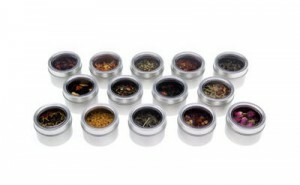 Whisk and Spoon offers amazing teas that will appease all your customer's palettes. We pay special attention to our teas and make sure each one provides a unique flavor. In addition to our Bloomin' Tea, you'll find organic chai, organic dessert, organic earl grey, organic green tea and herbal organic and fair trade teas are our specialty . Whether these teas are served hot, iced or as delicious cocktails, these clean and pure tasting organic teas offer a tasteful way to relax and decompress. Low in caffeine or caffeine-free and an excellent source in antioxidants, which naturally makes them a healthy alternative to artificially flavored drinks. Two of products that will definitely make a statement in any store, whether you are a florist or gift shop are our Bloomin' Tea and Bloomin' Bouquet. Their Bloomin' Blooms is their newest and coolest gift and floral accessory. What do they do? Your customers actually put a tea bulb into hot water and watch the action happen right within their tea-pot or glass. The bulb actually blooms into what looks like a beautiful bouquet. It's simply a wonder to watch. Add these to gift baskets and even bouquets to make something truly extraordinary. Imagine having a basket full of gourmet food, and topping it off with these Bloomin' teas to make an amazing gift. All of our teas are simply delicious. Organic teas will be a wonderful addition to your store that your customers will have to have on a daily basis. This tea will be their relaxation after a stressful day at work and on the weekends when they want to stay in and relax. When wanting to offer wonderful products in your store, choose Whisk and Spoon. Our delicious teas and unique Bloomin' Teas are all delicious and make wonderful gift items that will truly be unforgettable, especially when your customers watch a floral bouquet bloom right in their tea. What a unique way to experience tea! Contact Sally on sales@whiskandspoon.com or call 610 624 3680. All orders for Bloomin' Teas will generate a donation for the Pennsylvania Horticultural Society which sponsors the Philadelphia Flower Show - March 4 through March 11, 2012. 1811 – OLD IS NEW AGAIN: Green Iced Tea with a twist! 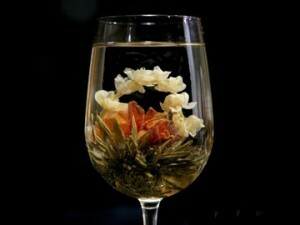 Affordable Luxury Tea are what Customers want today. It’s Tea Teenie Time! Martinis to escape the heat!